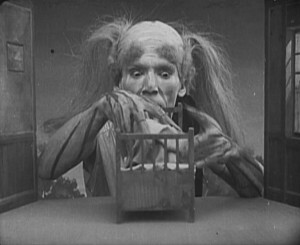 I have some creepy old footage for you. 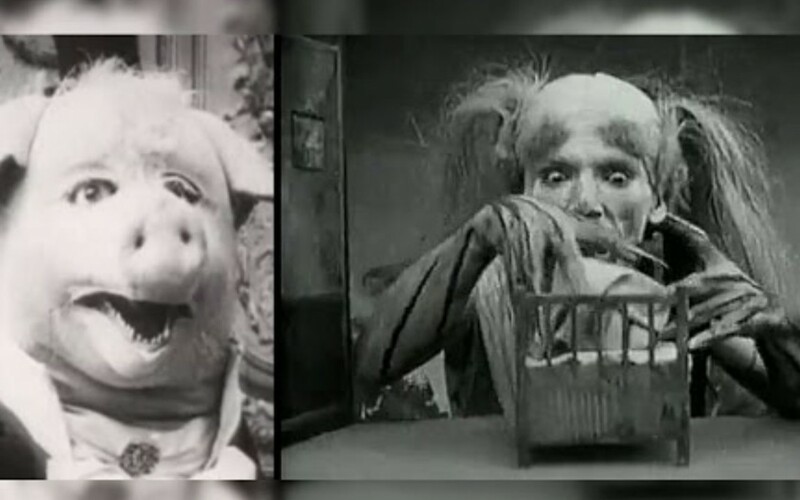 So from a weird massive pig to the most scary house ever – here are 10 creepy vintage videos. 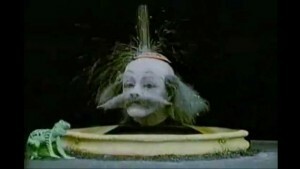 The plot to this one is that a mad scientist keeps a live head in his lab… and he likes to do bizarre experiments to it. The plot to this one is a young girl having a picnic. 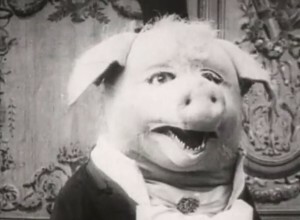 After being interrupted by a dancing pig she decides to humiliate him. You might recognise the MEGA-CREEPY last few seconds of footage. It was a popular gif that spread through creepy message boards a few years ago. 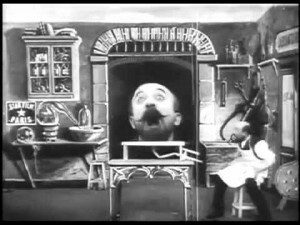 Filmed in 1908, the plot here is that the moon suddenly attacks an astronomer and eats his telescope. The astronomer soon learns that the moon never travels alone. It’s kinda hard to describe this one but it almost looks like something from Abe’s Oddysee. The plot to this next one is simple. A couple spend the night in a hotel. But this is no normal hotel. This is an electric hotel, where the existence of electricity makes everything go mental for some reason. In this video a little girl is visiting a pond when demonic spirits come to life. They drag her to hell where they torment her further. Suddenly she awakes in the real world. Falling back to sleep, she awakes in a magic garden full of goodness. But she soon awakes in the real world once again. My interpretation of the film is that by comparison to a possible Utopia, we are already in hell. A young lady passing through a cemetery. She soon finds herself in a world very different from her own and it’s occupants seem to be ghosts, vampires, and dragons. 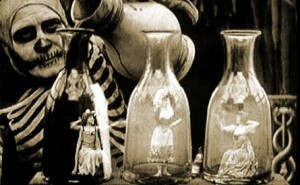 This video appears to show a woman using magic to bring small statues to life. But she soon begins torturing them with fire. I really have no idea what this video is supposed to mean. This short film is set in a grotto deep underground. A demonic skeletal magician makes 2 women vanish in flames. 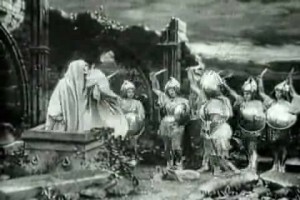 A good spirit then appears and shows the demon that the women have been transported to a safe area. The film-makers then seem to descend into madness. 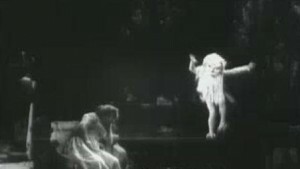 There are so many Creepy Vintage Videos that seem to have been produced by the insane – it was an insane era. In this last video a group of travellers are being drenched by heavy rain. To solve this problem they enter the most haunted looking, haunted house of all time. 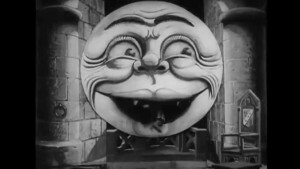 At least… it looks haunted until it is transformed into a massive face. As soon as they enter the house things start going completely mental. And only the word “mental” can describe the ending scene of this video to any degree of accuracy.